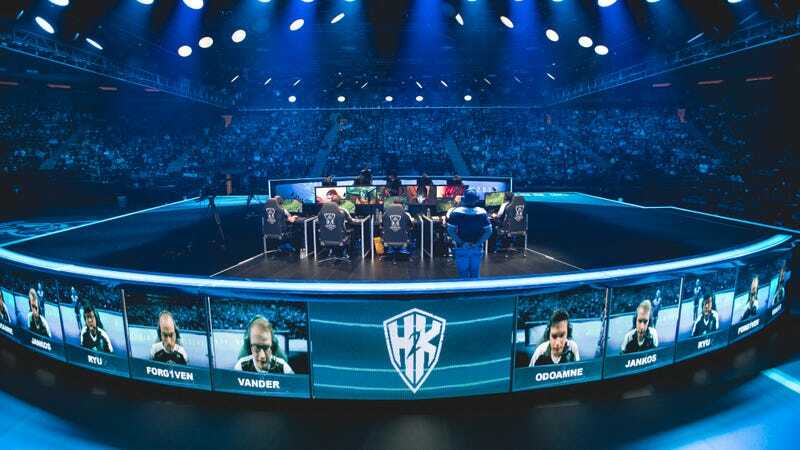 European esports organization H2K issued a letter yesterday to the League of Legends community, saying it will not continue to participate in the European League Championship Series unless Riot Games creates a better financial structure for teams. H2K, a team competing in today’s EU LCS playoffs, has been a part of the European region’s LCS since 2015, and held a League squad for even longer. In its letter, the organization breaks down the financial struggle the team has gone through to stay one of the pillars of the region. Sadly, however, from a business perspective we consider it irrational to continue in a partnership where our partner earns very substantial annual profits while, by contrast, we incur annual losses of over €1,000,000. The financial arrangement between RIOT and the teams is unfortunately backward and upside down. The fact is that most League of Legends teams lose money. Operating costs continue to increase dramatically and RIOT’s team compensation only covers a small fraction of those costs. In essence, team losses are subsidizing the marketing activities of a multi-billion dollar company. As the organization notes, the LCS and teams participating in it help promote League of Legends and its developer Riot Games. Without the teams in the LCS, H2K argues, there would be no games for fans to watch, and revenue would start to decrease. Saying the team has already subsidized Riot “in excess of €2,000,000,” H2K and its leadership believe the current situation is untenable, and they close their letter with an ultimatum. Accordingly, H2K ownership has made the decision that we will no longer financially subsidize RIOT and will not continue in the EU LCS beyond the 2017 season UNLESS RIOT creates a new financial and operating structure. RIOT must provide the EU LCS teams with the realistic opportunity to earn through subsidies and revenue sharing, minimum compensation of at least €850,000 per year. Recognizing that as teams we must perform and contribute to the success of the league, we accept that a portion of the revenue sharing should be based on competitive performance, viewership, effective branding activities and other reasonable metrics. Also, critically important to the teams is that any planned changes to the EU LCS structure planned by RIOT for 2018 and beyond must actually increase the value of the legacy team slots and not diminish them. This comes on the heels of the North American branch of the LCS franchising, an opportunity that several European teams have reportedly inquired about.